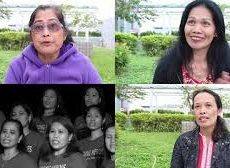 The choir in the video “The Hong Kong Unsung Heroes” are all Aunties who have children of their own in their home country which brings authenticity and emotion to the song and makes the points I want get over to students in my schools in a fast impactful and memorable way. I wish I could kiss you goodnight. Students love the song and it helps them quickly access the modern world oxymoron that their Aunties love them so much, but also have their own kids that they rarely see – this creates a fertile opportunity for further discussion.